made of special strong flexible UV protected ply-urethane mateiral. 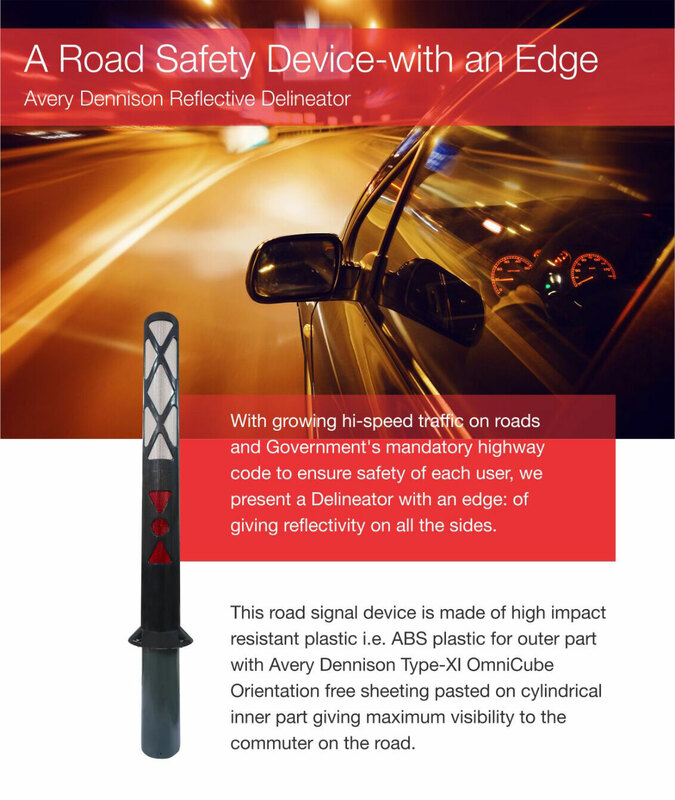 It reduces road accidents by providing an davnce warning. Its excellent rebound-ability quickly restores its original state without any damage to the vechile as well as spring post. Clean the area where spring post is to be installed.Mark the Nail Points. Grout the holes & clean the surface again. Mix Epoxy & Hardner in proper ratio & pour in the holes made. Place the spring & fix the bolts with hammer. The delineators are suitable for all kinds of roads. Their reflectors give best reflective performance to show the road geometry during day and night making it convenient for drivers ad keep them away from road hazards. These result in avoidance of accidents.